Perigea sutor Guenée, 1852, Histoire Naturelle des Insectes. Species General des Lépidoptéres, 5:231. Perigea apameoides Guenée, 1852, Histoire Naturelle des Insectes. Species General des Lépidoptéres, 5:229. Perigea turpis Guenée, 1852, Histoire Naturelle des Insectes. Species General des Lépidoptéres, 5:232. Perigea indecisa Walker, 1857, List of the Specimens of Lepidopterous Insects in the Collection of the British Museum, 11:733. Perigea paupera Walker, 1858, List of the Specimens of Lepidopterous Insects in the Collection of the British Museum, 15:1693. Perigea otiosa Walker, 1858, List of the Specimens of Lepidopterous Insects in the Collection of the British Museum, 15:1693. Xylina detrecta Walker, 1865, List of the Specimens of Lepidopterous Insects in the Collection of the British Museum, 33:750. Segetia fabrefacta Morrison, 1875, Proc. Boston Soc. Nat. Hist., 17:146. Diagnosis: Condica sutor is one of the most abundant species of the family Noctuidae in the tropical and subtropical regions of the New World. Like so many of the primarily tropical species found also in North America it is probably high dispersive, overwintering in the southern parts of the United States, the Antilles, and Mexico and moving northward every summer. This is a hypothesis, however, and is not supported by any evidence. The species is not particularly distinctive. However the forewing is a dark fleshy brown with a slightly shiney, smooth appearance. Even though the species has no particular feature to separate it from other species in the genus the forewing color and smooth appearance will generally separate it from other species of Condica in North America. 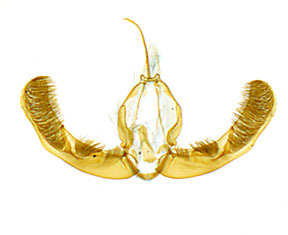 The reniform spot does not have a white spot in its lower half. There is a little black scaling in cell and the black runs through the lower half of the reniform spot. The claviform spot is a small, dull black dot, and is almost absent in many specimens. The orbicular spot is very obscure to nearly absent. The postmedial line is double and usually has dark streaks on the veins. The subterminal line is usually fairly well marked, but mostly as a change in color between the terminal and subterminal regions. The hindwing of both males and females is heavily infuscated with brown, the brown contrasting with a yellowish white fringe. 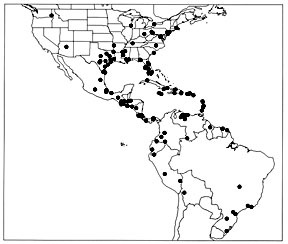 Distribution: This species is abundant throughout the tropical and subtropical regions of the New World. It also has a wide distribtuion in North America, particularly in the eastern United States. Specimens, however, have also been taken in northern Arizona and western Washington. I speculate that the species is highly migratory and may not be able to overwinter north of the southern United States. The species is not particularly variable, although the color of the forewing can vary between individuals within populations. There is no indication of any geographical variation. 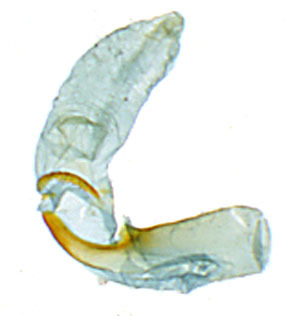 Larva: The larva has been described by Crumb (1956). Foodplants: The larva has been reared on a variety of herbaceous plants. In the USNM there are specimens reared from burdock [Xanthium sp.] (Asteraceae), Aegeratum sp. (Asteraceae), and celery [Celeri graveolans] (Apiaceae). 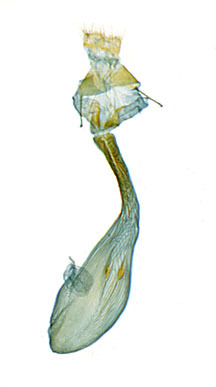 Kimball (1965) also records celery as a foodplant as well as Wedelia sp. (Asteraceae) and Tagates sp. (Asteraceae). Stoner and Wisecup (1930) report sutor as a pest of celery in Florida. The species probably will eat most herbaceous plants in damp habitats and the injury to celery may be a matter of location and not any preference of the larvae for celery. Most of the recorded foodplants of sutor are in the Asteraceae and the composites are the prefered food group for the genus Condica. 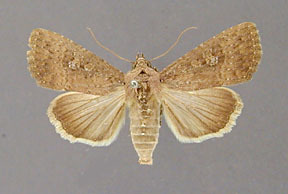 Even though this species has no particular feature to separate it from other species in the genus the forewing color and smooth appearance will generally separate it from other species of Condica in North America.